My name is Olushola George Otenaike (OlusholaOtenaike.com) and I started online business in 1999. One of the ways I make money online is by buying and selling domain names and I have been doing so since 2010. Some of my past sales include snowclimbing.com, bought for $1 at 1 &1 Internet and sold for $61 at flippa after 30 days (click here for proof), phonedetails.com, bought for $25 at godaddy and sold for $316 after 30 days at flippa (click here for proof), jobsbrowser.com, bought for $25 at godaddy and sold for $450 at flippa after 21 days (click here for proof), smartpillow.com, bought for $25 at godaddy and sold for $6,000 at godaddy (click here for proof) & so on. I also have some domains in my portfolio for sale right now. Domain trading describes the activities associated with buying and selling domain names. As at June 2018, there were about 135.6 million registered .com domain names. The most expensive domain name was sold in 2010 for $49.7 million (CarInsurance.com), while Insurance.com was sold for $35.6 million, VacationRentals.com was sold for $35 million in 2007 and PrivateJet.com was sold for $30.18 million in 2012, (click here for proof). It is a billion dollar industry with the big market players having extremely high capital investment and thereby gaining a lot of advantages. This is a business that has produced many rags to riches stories for the internet to tell. Many people have actually become rich overnight trading domain names. A lot of people don't know about this lucrative business which can help in boosting their income. In fact, those who know about it are not doing it right thereby losing their hard-earned money. You will also get an eBook as a course material that covers all the topics that you will take in the course. I will also give you personal mentorship when you are ready to start real trading in order to guide you to trade smartly. "I was skeptical about this course but when I registered, I thank George for showing me the way." "I registered for this course and it has helped me in the business." "Thank you Mr George for initiating this course. I would have lost so much money due to my ignorance but with your mentoring, I now trade domain names with so much confidence and I make cool money." 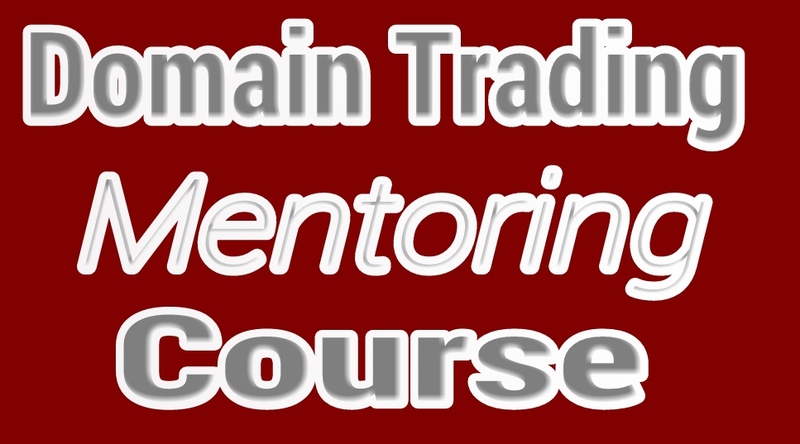 "A friend told me about domain trading but I needed a mentor badly. I was lucky to know about this course and since I registered, I have no regret." "The day I sold my first domain name through this mentoring course was one of my happiest moments on earth. I am so grateful to you for this type of course and God will bless you." This course is covered by a 30-day moneyback guarantee, so you have absolutely nothing to lose and everything to gain. If I ask you to pay $590 for this course, it's more than worth it, but you will not pay $590. I won't ask you to pay $490 either. To enjoy the full package of this course, you will only pay $29 (or N9,000) if you register this month. After this month, it will jump back to the usual $190. So, the ball is now in your court. You can use three options to register for the course - Bitcoin, Skrill and Bank Transfer. After sending your payment, you should get in touch with me through georgy3004@gmail.com or whatsapp +2348156217344 and I will send the course material to you so that you can start your course immediately. For further inquiries, you can contact me via georgy3004@gmail.com or whatsapp +2348156217344. P.S: This offer is just for a limited time only, so act fast. 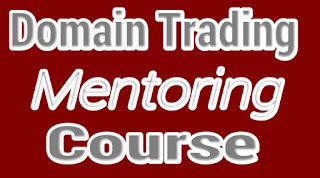 Very effective mentorship, in less than a month I can boldly say I'm well acquainted with domain trading.